I had said earlier that I was having trouble finding an example of the Inverted Gull stitch in life. 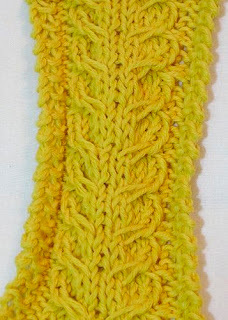 OK, I know that I'm a little "mad" and I realize that knitting should maybe just be knitting - interesting stitches etc. It really doesn't need to be part of any grander scheme; but I can't help finding these correlations between knitting and life - (not that knitting isn't a part of life - it is sort of, in that it is an escape from life). So, here is the Inverted Gull stitch from the Barbara Walker site. 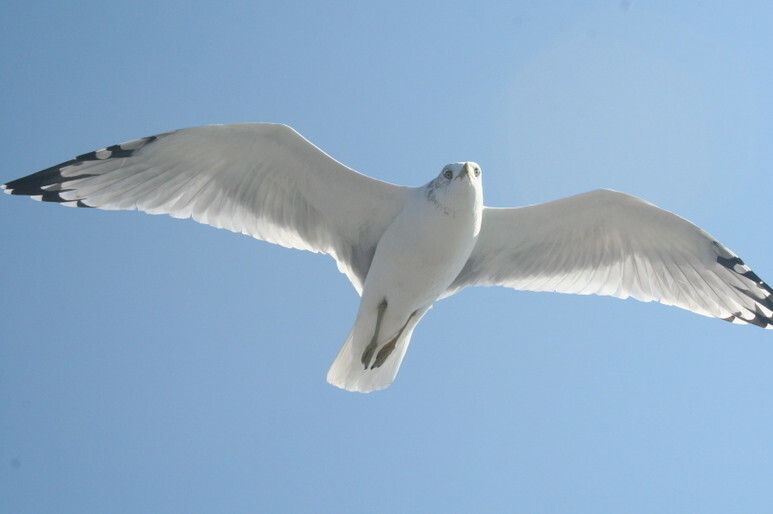 And here is a seagull. You'll have to just imagine the wings inverted. Now the early designers who created these patterns named them for things that the stitches resembled in their lives. This stitch is often used in fishermen's sweaters - so you can see why someone who lived by the sea would see gull wings. So maybe I'm not that crazy doing the opposite - relating the stitch to something in my life. Here is the picture that brought me back to the stitch. 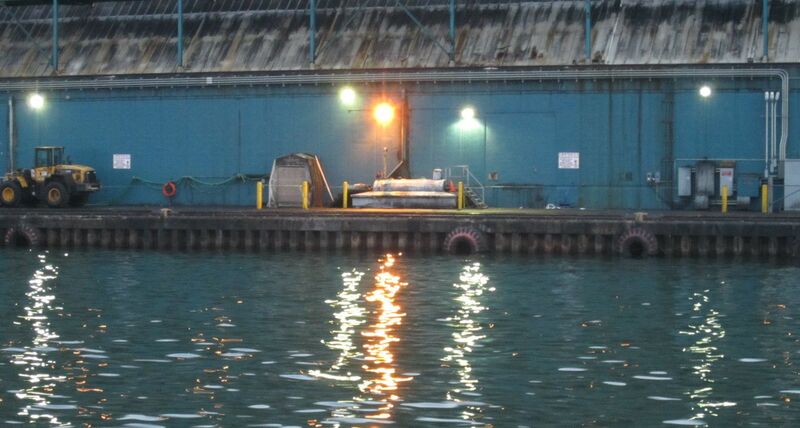 It is the wharf next to the sugar refinery and I could see intricate stitches in the lights reflecting on the water. 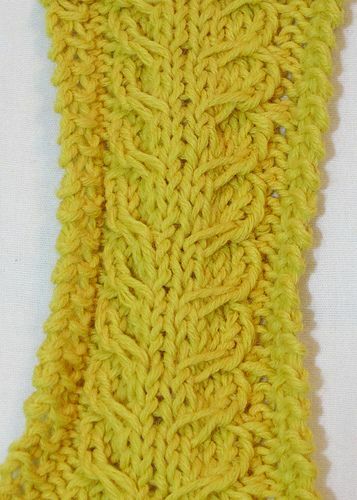 It's not the Gull stitch because it moves from side to side, but it does form a column and it is by water. This picture could actually become a sweater. 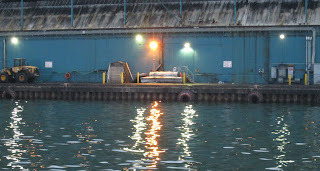 Do you see the ribbing in the wharf. Those circles would make an interesting interlude in a rib stitch. Add some bobbles for the lights and you're almost there.